Most camera housing floods are preventable with good assembly technique, but even the most experienced shooter can get in a rush and make a fatal error. Backscatter is pleased to announce Airlock, our new vacuum verification system for underwater camera housings. With custom bulkheads available for Aquatica, Sea & Sea, Subal, Seacam, Nauticam and Hugyfot, the Airlock will verify your housing is leak-proof before you even jump in the water. This is necessary for the AirLock system to work on your housing. This is the same bulkhead used with the Wahoo Monitor System. Most camera housing floods are preventable with good assembly technique, but even the most experienced shooter can get in a rush and make a fatal error. Backscatter is pleased to announce AirLock, our new vacuum verification system for underwater camera housings. 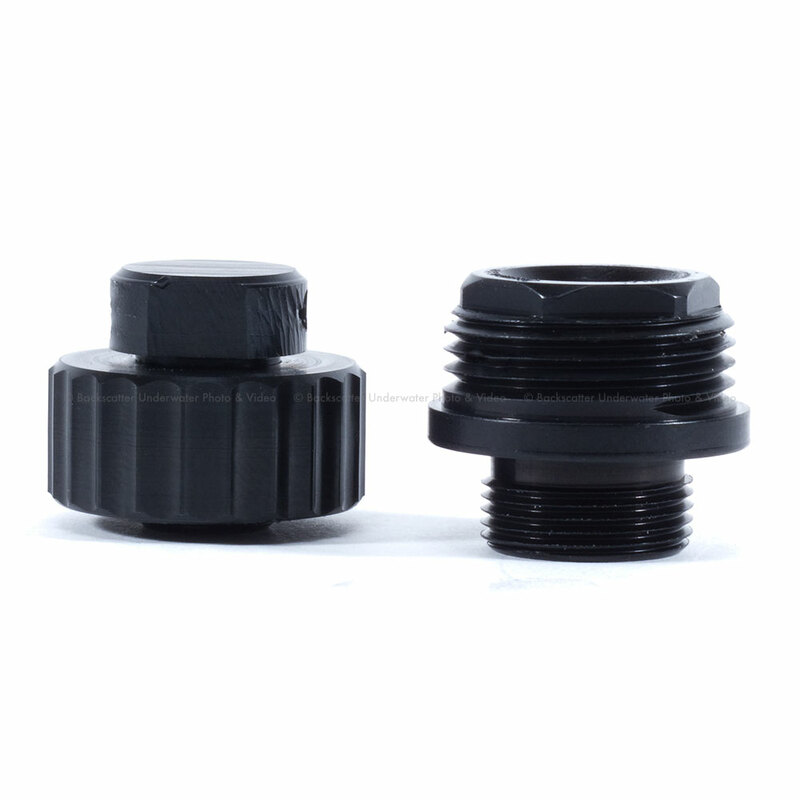 By creating negative pressure inside the housing and monitoring the vacuum pressure, the AirLock will verify your housing is leak-proof before you even jump in the water. 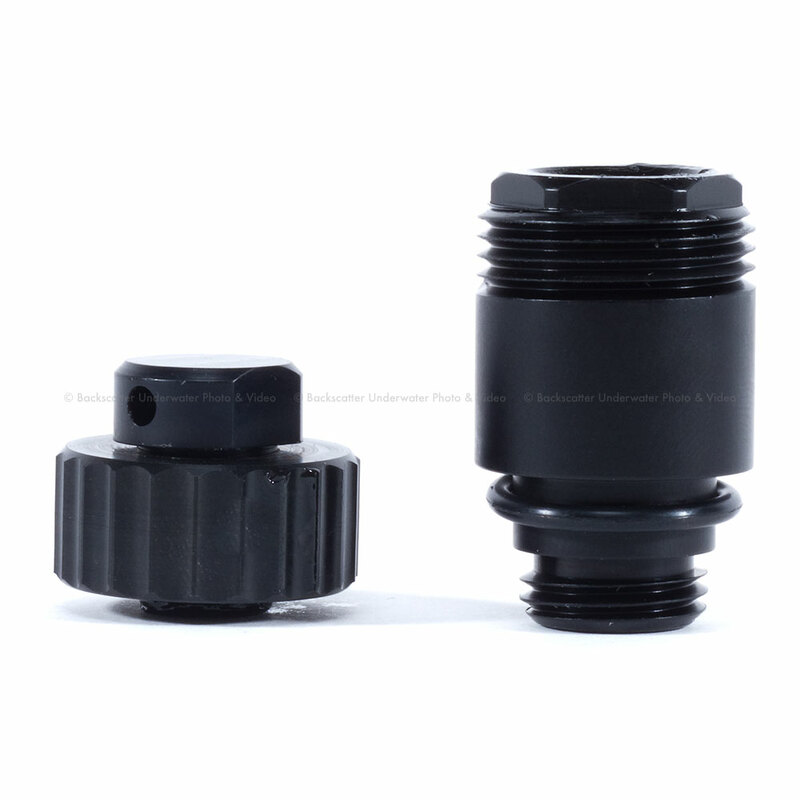 Backscatter offers a custom bulkhead for all popular camera hosing brands. These are the same bulkheads used on our popular Wahoo monitor housings. Select the model for your housing brand and choose your favorite mounting position. The bulkheads are easy to install yourself. You can move your AirLock system to different housings by simply buying extra bulkheads. We selected the best industrial one-way valve made of rugged stainless steel and installed it at a right angle. 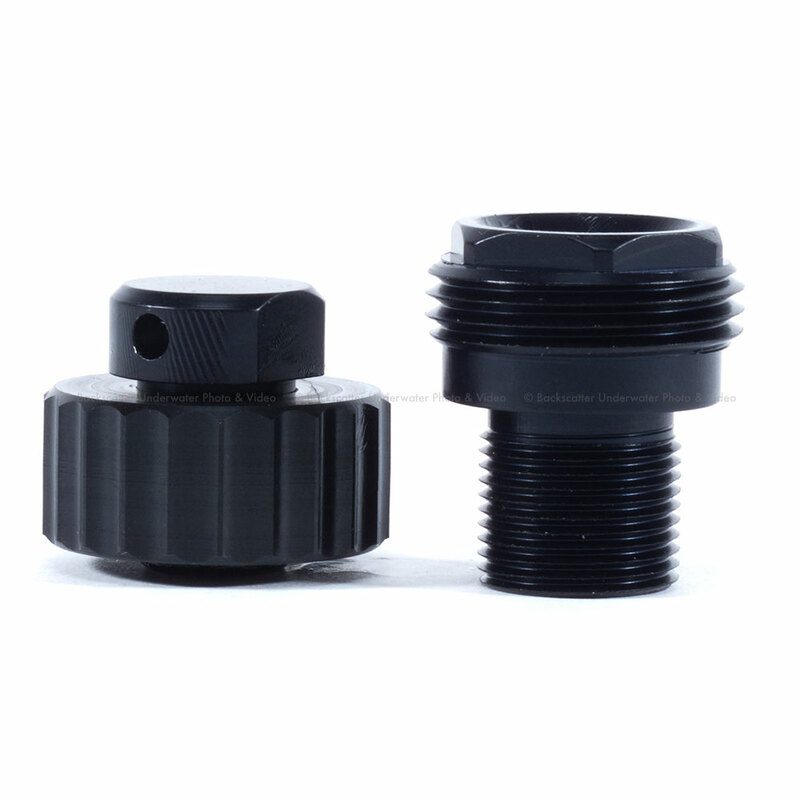 This low profile valve can be quickly installed on the bulkhead without the use of tools, thus users can choose to remove the valve for easy travel. 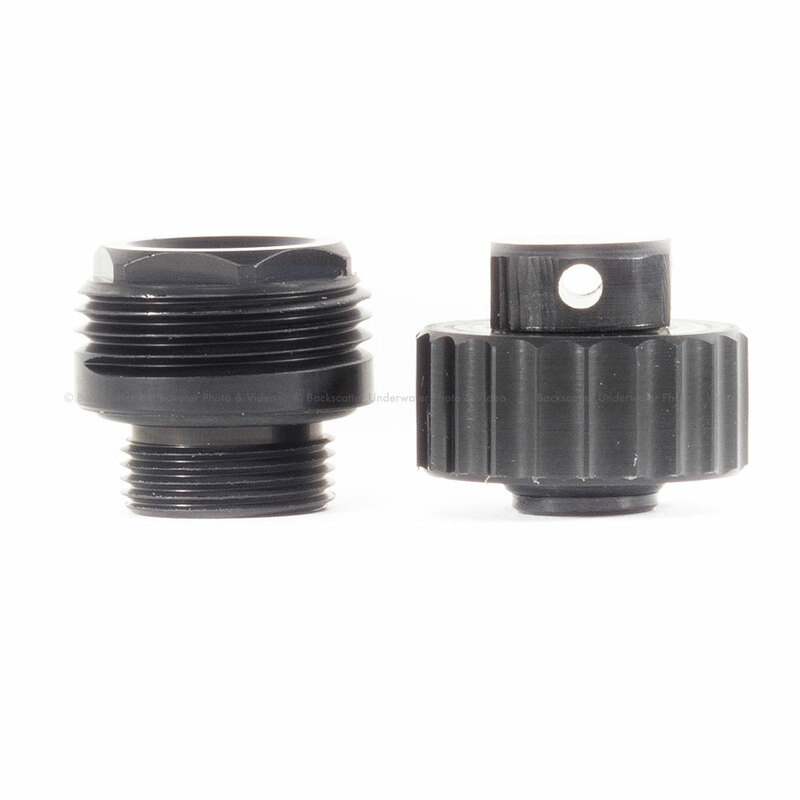 However, due to our unique right angle design with free rotation, most users will find the valve can just be left on the housing at all times. 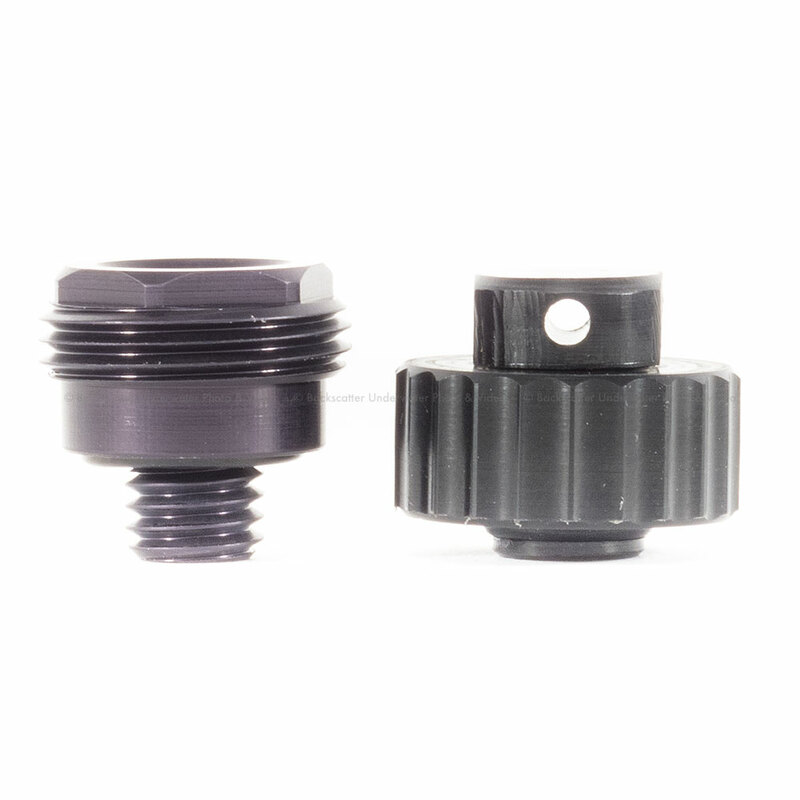 The anodized aluminum vacuum gauge is easy to read and snaps into the quick release fitting on the one-way valve. This gauge is included on both the AirLock Manual and AirLock Electronic systems. On the AirLock Manual version, this gauge is snapped into the valve to verify that the housing is still at the correct vacuum pressure. Thus even if you find yourself in the middle of the ocean without a battery for your AirLock Electronic, this good ol mechanical gauge will keep you going. To further make our AirLock system field friendly, we use a "wine saver" type pump to pull the vacuum. These pumps are very lightweight and also could be found on boats and resorts in a pump loss emergency. 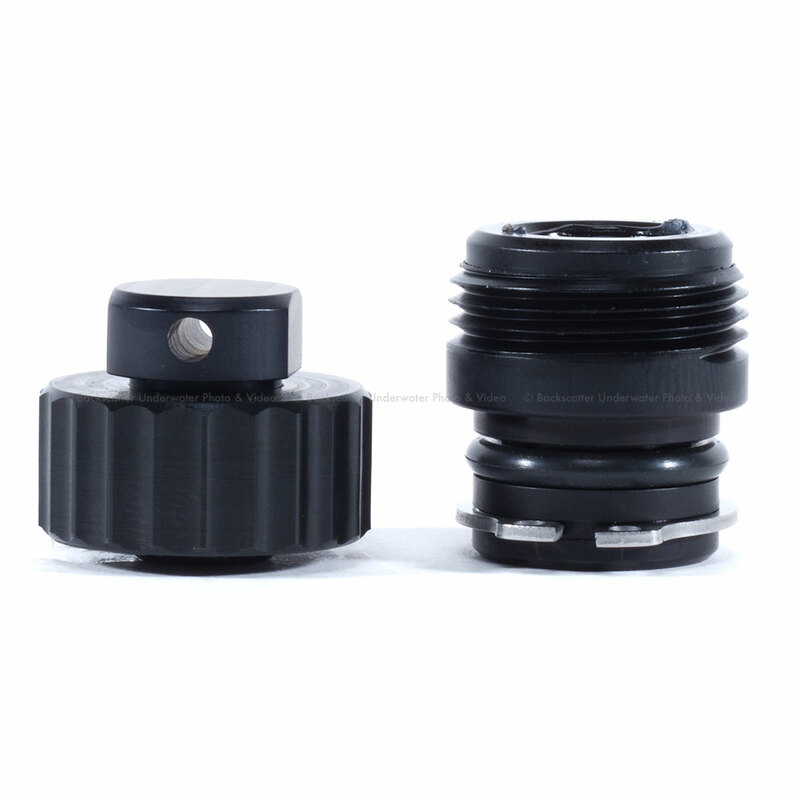 Our high quality version will pump down most SLR housings in 10-15 pumps. Lens ports on SLR camera housings can be accidentally rotated and cause vignetting in the image corners or worse cause a leak. 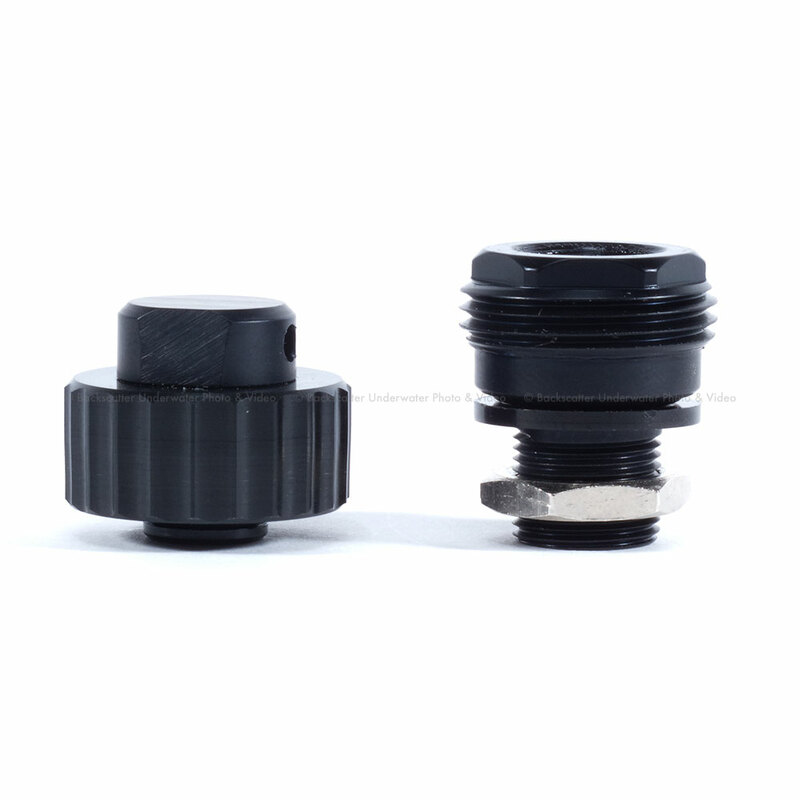 When pumped down to normal vacuum pressures, the AirLock will lock a lens port such that it is impossible to remove by hand. When pumped to a slightly higher vacuum, the AirLock will even prevent port rotation and keep the corners of your image vignette free. In our underwater photography classes, we always teach students to dunk their camera housing in a fresh water rinse tank and inspect for bubbles which are the symptoms of a leak. Now armed with an AirLock, you can check for leaks without ever getting the camera housing wet. For most people a 10 minute verification of vacuum will be all that's needed to jump in the water. For more critical applications, you can leave a vacuum overnight and verify its integrity in the morning. AirLock is inexpensive insurance that will help you identify a problem before it causes damage.